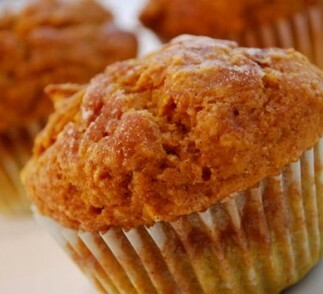 The rich fall flavors of pumpkin and cinnamon make these muffins irresistibly yummy, especially when served warm with your favorite hot beverage. You can also serve pumpkin muffins in place of corn bread for a fun twist on the classic dinnertime bread. Preheat oven to 350ºF. Line 12 muffin cups with paper liners and generously spray with nonstick spray. In a large bowl, combine flour, brown sugar, baking powder and cinnamon. 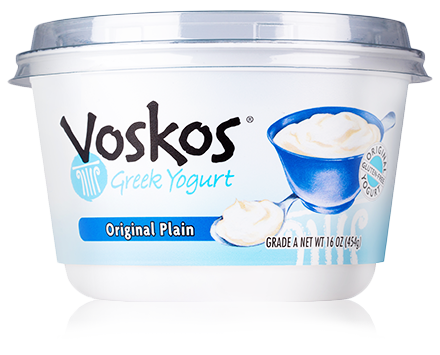 In a separate bowl, whisk together eggs, Greek yogurt, pumpkin puree, olive oil and milk. Spoon batter into muffin tin, filling each cup almost to top. Sprinkle with cinnamon sugar. Cool 5 minutes in pan on a wire rack, then remove from pan and allow to continue to cool. Serve warm or at room temperature.